Burj Al-Luqluq Social Center Society organized on Friday, 23\12\2016 a tour to the Palestinian coastal cities; Askalan and Asdoud, in order to learn about the historical monuments in those areas, in addition to stressing on the center’s message of strengthening the Palestinian identity in the cities occupied in the 1948. The group toured with the tourist-guide Khalil Sabri with the participation of 50 male and female youth. 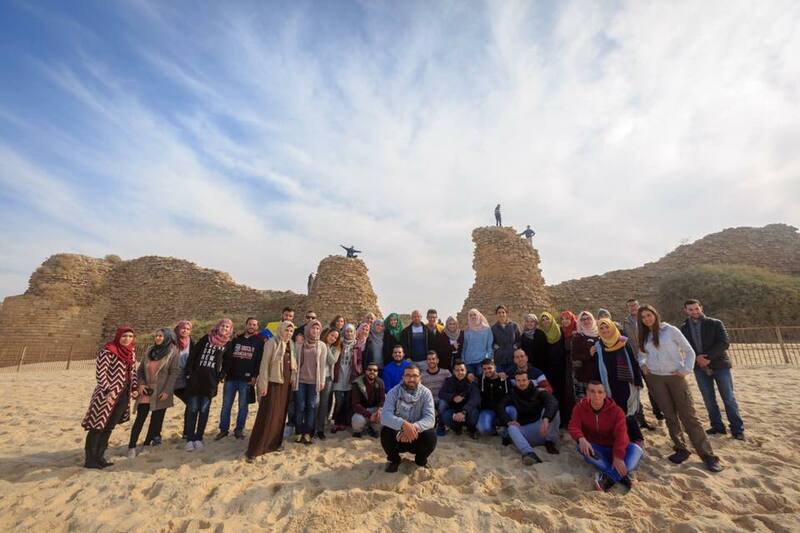 They went to the Fatimid Castle in Asdoud in addition to Asdoud beach. Then, they went to Abu Hureira memorial and reached the border line with Gaza, and they ended their tour in Askalan. It is worth mentioning that the Young Guide 2 is within Live the Burj project executed by Burj Al-Luqluq and funded by the Arab Development Fund through the Islamic Bank for Development under the supervision of the Welfare Association.